In early 2016, a few Beer enthusiasts from the Bangalore Brew Crew collaborated with Arbor Brewing Company to brew “Betel Juice” – a Pale Ale infused with lemongrass and betel leaves. The 1,000 L batch sold out in a matter of weeks. Collaboration brews help build the Craft Beer community and spread awareness about new styles of Beer. Since Betel Juice, Bangalore has been quiet. Brewpub owners have been focusing on keeping up with the ever increasing demand, new Brewpubs have been springing up all over the city and more people are being exposed to Craft Beer. What better time to have a collaboration brew than now? The Craft Brewers Association of India (CBAI) is based out of Bangalore and together with raw material supplier Brewnation, they finally decided it was time for another collaboration brew. The plan was to brew something special and different that would be a learning experience for all those involved. The venue selected – Windmills Craftworks – is one of the top brewpubs in the city. I fondly refer to them as the “Ritz Carlton” of brewpubs here for a simple reason – classy, elegant, top notch consistently good Craft Beers, a small but well executed food menu, dedicated & knowledgeable staff who provide exceptional service and a space where you can truly enjoy a few pints at peace. Windmills have a Flex Auger with a grist hydrator to make milling and mashing easier and more efficient. The drawing below is just for illustration purposes showing you the flex auger. On the right is the Grist Hopper/Mash Hydrator at Windmills. Ankit Sethi (Founder) from Brewnation, the CBAI and the Windmills team collectively decided they wanted to brew a style that was different from the usual ales normally brewed in house. On Brew Day, several brewers from various brewers would be invited to partake in brewing this special Beer. Sour Beers are slowly being introduced in India and it’s great to see the top brewpubs across the country adopting sour beer programs in their brewing calendars. We discussed this in a previous post. You’ll find those links at the bottom of this post. Barrel aged sours are great but they take a long time to mature. Another option for making sour styles is to kettle sour. Kettle Souring takes 24-48-72 hours to achieve target results. Essentially you are introducing Lactobacillus bacteria into the wort which in turn convert sugars into lactic acid giving you the desired tartness. Once the desired tartness and pH level has been achieved, the wort can be sterilized by boiling and then the rest of the process is like a normal brew – whirlpool, plate heat exchanger, transfer to Fermenter and so forth. 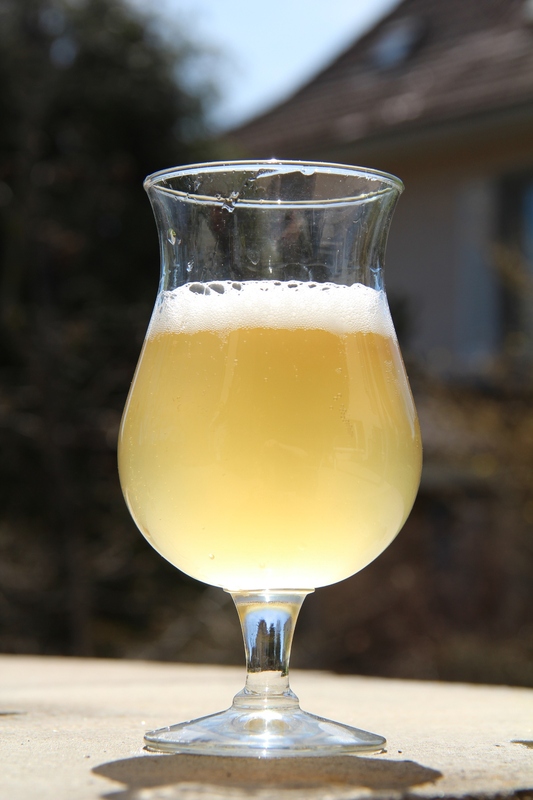 There are a few styles of Beer that can be soured using kettle souring. Common kettle soured beers include the Gose & Berliner Weisse. For the collab brew, it was decided that a Berliner Weisse would be brewed. A regional specialty of Berlin; referred to by Napoleon’s troops in 1809 as “the Champagne of the North” due to its lively and elegant character. At one point, it was smoked and there used to be Märzen-strength (14 °P) version. Increasingly rare in German, but some American craft breweries now regularly produce the style. As you well know, Craft Brewers especially in the US tend to follow the guidelines set by the Beer Judge Certification Program (BJCP). As with all things Craft, a Brewer can use the guidelines as a framework and customize his or her creation. A very pale, refreshing, low-alcohol German wheat beer with a clean lactic sourness and a very high carbonation level. A light bread dough malt flavor supports the sourness, which shouldn’t seem artificial. Any Brettanomyces funk is restrained. Very pale straw in color. Clarity ranges from clear to somewhat hazy. Large, dense, white head with poor retention. Always effervescent. A sharply sour character is dominant (moderate to moderately-high). Can have up to a moderately fruity character (often lemony or tart apple). The fruitiness may increase with age and a light flowery character may develop. No hop aroma. The wheat may present as uncooked bread dough in fresher versions; combined with the acidity, may suggest sourdough bread. May optionally have a restrained funky Brettanomyces character. Clean lactic sourness dominates and can be quite strong. Some complementary doughy, bready or grainy wheat flavor is generally noticeable. Hop bitterness is undetectable; sourness provides the balance rather than hops. Never vinegary. A restrained citrusy-lemony or tart apple fruitiness may be detected. Very dry finish. Balance dominated by sourness, but some malt flavor should be present. No hop flavor. May optionally have a restrained funky Brettanomyces character. Light body. Very high carbonation. No sensation of alcohol. Crisp, juicy acidity. In Germany, it is classified as a Schankbier denoting a small beer of starting gravity in the range 7-8 °P. 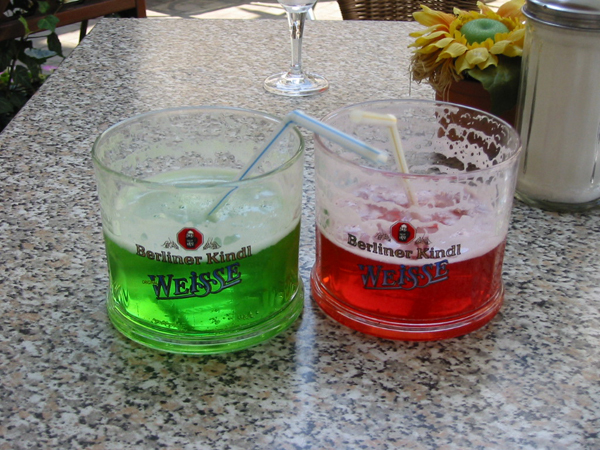 Often served with the addition of a shot of sugar syrups (mit schuss) flavored with raspberry (himbeer), woodruff (waldmeister), or Caraway schnapps (Kümmel) to counter the substantial sourness. Has been described by some as the most purely refreshing beer in the world. The Yeast and Bacteria were flown in using a cool pack from Hyderabad by Brewnation and refrigerated overnight before being transported to Windmills. Aroma and flavor is neutral with slight ester notes. The process is similar to the Kettle Sour procedure we discussed earlier in the post but there are several additional steps to prevent contamination that must be adhered to including pasteurizing the wort, pH adjustment, CO2 purge and of course boiling at the end of the process. The Day started off at 10 am with cups of coffee (of course) and Head Brewer JD and Brewnation’s Ankit walking us through the recipe and kettle souring procedure. The Windmills Team had already started Mashing In and we were shown their Mill Room and Flex Auger, while this was going on. Tales Of Froth & Brewer World (India’s First Beer Magazine)were on board as media partners for the event. Once lautering and sparging was completed, wort transfer to the kettle took place, a short boil for pasteurization and lactic acid was added to adjust wort ph along with a CO2 purge to prevent contamination. Click the video below to see me hard at work cleaning out 140kgs of spent grain! If you’ve ever wondered what brewers do whilst waiting for mashing/lautering to complete, they could be doing a variety of things from paperwork to actually sampling beers. In our case, this was the perfect chance to sample the range of Beers at Windmills and grab some lunch. Golden/Amber in appearance with plenty of Hop aroma from the generous use of Amarillo & Centennial. Both contribute citrus notes and you get some fruity notes, as well. On the palate, light to medium bodied with hints of malt and hops shining through with a easy to handle bitter, dry finish. Remember this is a Pale Ale where hops don’t need to take the center stage in terms of IBU but instead can show off their aroma and flavors instead. Nicely executed by the brewing team at Windmills. Great for a few pints not just one – so sessionable indeed! The lunch table was the perfect setting for everyone to network and share common problems and a few laughs, as well. It was great to see everyone bonding over the beverage we all love and are so passionate about – Beer! Windmills Terrace has a lavish buffet lunch spread – if you’re ever really hungry and thirsty, head up to their rooftop space and enjoy. Instead of pushing the wort through the PHE to drop to target inoculation temperature, the Windmills team decided to let the wort cool down on its own. Before we knew it time was up and our Brew Day was over. This event is the first of many such ones that this city needs. We need more Breweries to join CBAI not just here in Bangalore but across India. It’s good to see CBAI taking such initiatives. A big shout out to CBAI, Windmills & Brewnation for organizing this event and for all the hospitality. It feels great when you know you belong to a Craft Beer family that truly cares! One Big Happy Family – Cheers! The next morning, JD completed inoculation, once target wort temperature was reached. 48 hours later, once souring was complete, the Windmills team boiled the wort, passed it thorugh the whirlpool, PHE and transfered it to a fermenter where the Lallemand BRY-97 Yeast was pitched. A week later, post primary fermentation, this is what the Beer looks like (thank you Shaan for sharing these images). It will need a week or more for maturation before it can be put on tap and officially launched! Expect Windmill’s first Berliner Weiss to be on tap by mid December! Keep it right here for all the updates! This was a long read but packed with lots of information. I hope you enjoyed reading this and thank you for getting this far. Don’t forget to join the Friends Of Froth, Beer community on Facebook.